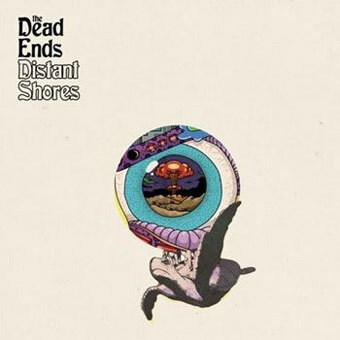 The Dead Ends bring a fresh and punchy sound with the release of their second album, "Distant Shores". Their new album is a follow-up to their debut 2017 LP "Deeper the dark, the Brighter we shine". Distant Shores was recorded in a DIY studio in Kavala, Greece; no fancy gear and all, but loads of experimentation. The record is comprised of 10 tracks that vary in style, though, within The Dead Ends unique style, they create a vibrant soundscape for any psychedelic music lover. Tracklist: 1. Healer's Song ( icaro) 2. Fountain of Love 3. The Trip 4. July 5. Sparkle 6. Dreams are Dead 7. To Those Who Left 8. Imaginary Friend 9. Peacock's 100 eyes 10. Reincarnation In this second album, Seirios, Giorgos and Dimitris explore the late 60s/early 70s, blending psychedelic and early progressive rock sounds with a strong contemporary feel. 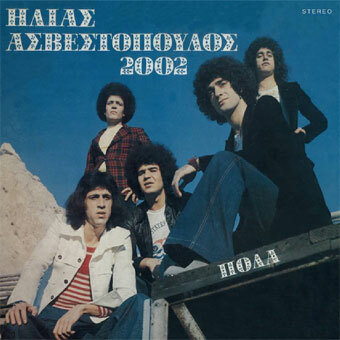 Guitar riffs and hammond melodies dance on groovie/punchy percussion and basslines, whereas, they often make way to the polyphonic vocals of the band and the bucolic woodwinds of Dimitris. Distant Shores talks about modern society problems and how to overcome these, putting all egos aside. Reminiscing the past and paving the future, The Dead Ends praise universal love in a record to be remembered for years. LIMITED TO 100 copies splatter vinyl edition.